There are few things as satisfying as a hearty meal. The aroma, the flavor, and the feeling of comfort that go hand in hand with a favorite food can be unlike anything else. Unfortunately, so can that pang of guilt later when you realize you've over-indulged! If you're trying to manage diabetes, lose weight, or manage another chronic condition, this feeling can be overwhelming. But what if you could enjoy all of your favorite rich and hearty comfort food dishes without any of the guilt? 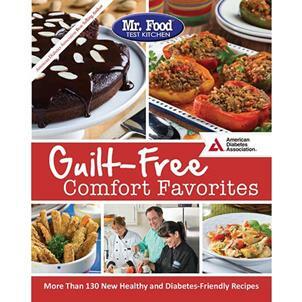 With Mr. Food Test Kitchen's Guilt-Free Comfort Favorites, you can! 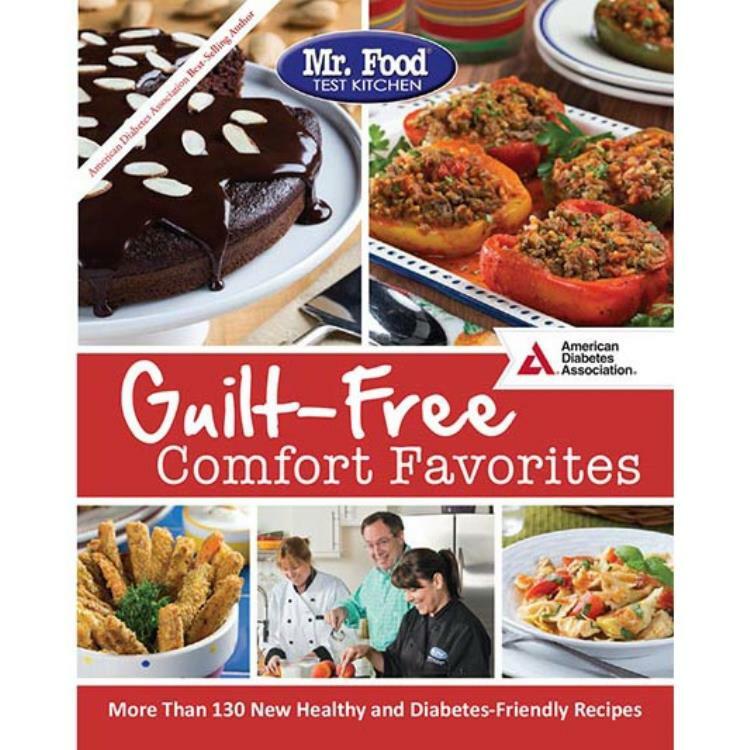 In collaboration with the American Diabetes Association, Mr. Food Test Kitchen has gone back and re-imagined more than 130 classic comfort foods, working meticulously to keep the flavor without all the extra fat, carbs, and calories. If you thought eating for diabetes or weight loss meant giving up the foods you love, you'll be amazed by these recipes. Imagine cooking up a hearty roasted chicken, a mouthwatering casserole, or desserts so rich you'll feel like you're cheating. But don't worry—it's all guilt free! Every recipe in this brand new collection is designed to meet the nutrition guidelines of the American Diabetes Association. Managing diabetes, eating heart healthy, and losing weight never tasted so great. This book takes comfort food to a whole new level!